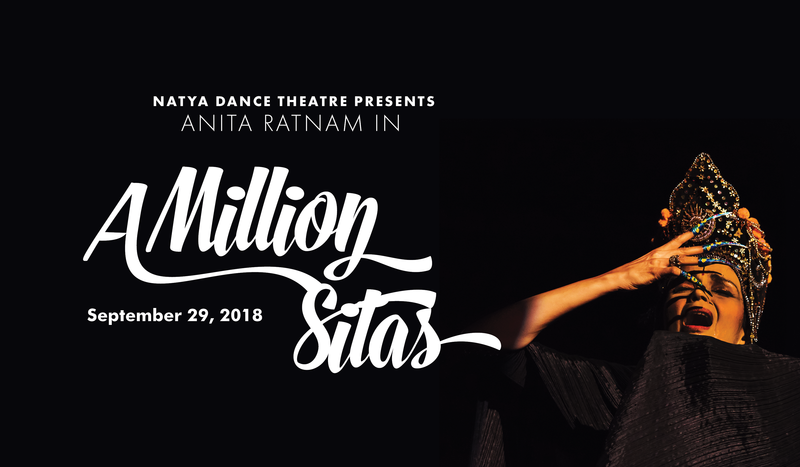 Get tickets to Natya Presents: Anita Ratnam "A Million Sitas"
Natya Presents: Anita Ratnam "A Million Sitas"
The RAMAYANA is echoed through the DNA of India as an epic, a text, a sacred book, an opera - interpreted through painting, dance, theatre, song, animation, television and film. This ADI KAVYA ( eternal story) has seen more debate, discussion and discourse than any other writing in Indian society. In A MILLION SITAS, the heroine of this time honoured tale stands at the centre of a power tussle as two men battle with their egos and divergent ideas of duty and honour. It is the women in this retelling who emerge from the shadows and pages of history to braid the multiple narratives of this riveting story. Anita Ratnam uses every weapon in her creative arsenal. Voice, movement, song, dance, theatrical improvisations and story telling to illuminate the character of SITA. Daughter of Janaka or Ravana? Princess of Mithila or Lanka?. As bride of Rama, Queen of Ayodhya, mother of Lava and Kusa she reveals her many avatars and the numerous lines she has to cross to finally become every woman and yet remain her true self. Admired, adored, pitied, invoked, worshipped, SITA is the four letter word that shadows every Indian woman until today. A MILLION SITAS puts her front and centre of the onging debate for the recovery of a woman's voice in society.